Apple on Monday supplied its developers with the fourth pre-release beta of iOS 7 for testing, as it prepares to launch the software to the public this fall. 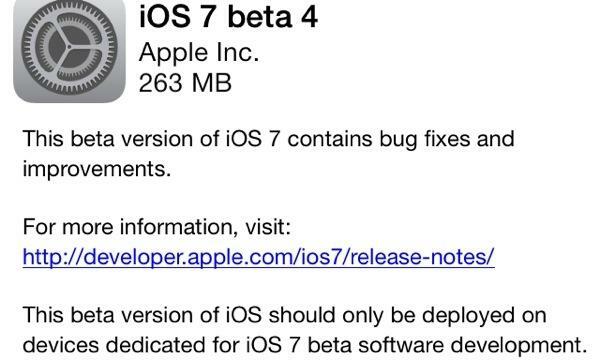 iOS 7 beta 4 arrives three weeks after the previously beta seeded to registered developers. It is now available for iPhone, iPad and iPod touch. According to Apple, the latest beta of iOS 7 includes bug fixes and improvements. The company has again warned that it should only be installed on devices dedicated to iOS 7 beta software development. 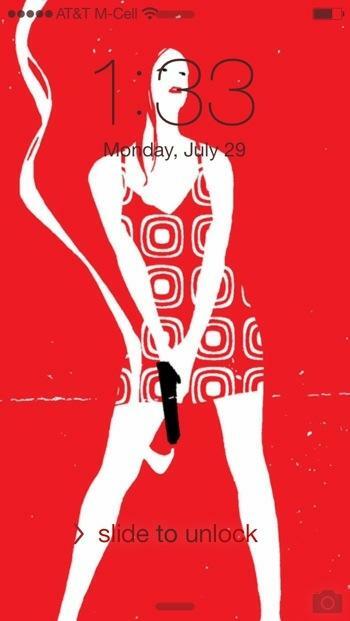 People familiar with the beta said the lock screen has been tweaked to add an arrow pointing right, located to the left of the "slide to unlock" text. The quick launch and notification center graphics at the bottom and top of the screen, respectively, have also been changed to straight lines rather than arrows, though they revert to arrows once the menus have been invoked. iOS 7 beta 4 also reportedly fixes issues with syncing calendars through iCloud, and addressed an issue where high-resolution images for a contact may not sync. Font line heights are also said to have changed from previous builds. A handful of known issues remain with the pre-release software, including a glitch that prevents voice memos from being restored via iCloud backup. Developers are advised to sync voice memos off of a device before restoring from iCloud. Apple had previously been releasing new iOS 7 betas every two weeks, but that schedule may have been thrown off by a hack that forced the company to take down its developer portal. The Dev Center returned last Friday after 8 days of being offline. A new rumor from Boy Genius Report on Monday claims that Apple is planning to release two more betas of iOS 7 to developers. After releasing six betas, it's expected that the company will issue the golden master, or intended final build, of iOS 7.0 at some point in September.